As spring lazily rolls around, water will make a robust entrance. From the melting snows to the spring rainfalls, moisture from every angle will drop onto the areas surrounding your home. Added to these water hazards is the neighbor’s outdoor pool, which can leak or rupture at any point and lead to a mess of flooding. Grade the lawn. A lawn that slopes down and toward the home is certain to pool with water as frequently as it rains. The home’s foundation becomes increasingly at risk for leaks and disastrous flooding when it is constantly saturated with water. The solution is to ensure the yard slopes away from the home on all sides. For every ten feet, the lawn should drop two to three inches. Add topsoil to the lawn to create a slope angled away from the home’s perimeter. Plant grass seed to help germinate new grasses. Plant greenery to prevent soil erosion. While having a sloped yard is helpful in preventing floods, soil erosion can take place. Planting the right shrubs, trees and shaded plants helps prevent soil erosion in sloped lawns. The vegetations’ root systems hold the valuable soil in place, thereby controlling erosion. Small shrubs that are ideal for erosion control are sulfur buckwheat and apache plume. Helpful ground covers include autumn sage and aromatic sumac. California live oak and holly trees grow strong root systems that stabilize hillsides. Dogwood trees and white alder tolerate shady spots well, while preventing erosion. Plant native flowers, plants and trees with a high water tolerance in areas that fail to adequately drain. The roots of this type of vegetation can manage being submerged in water. Plants with shallow roots are vulnerable to water damage and should be planted in high elevation areas. Protect the landscape with mulch. 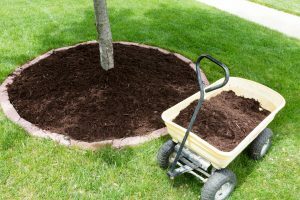 Adding mulch around trees and plants also prevents soil erosion. Mulching doubly acts as a fertilizer and protective covering for plants under extreme weather conditions. The mulch also neutralizes the pH levels in soil. Before adding mulch, evaluate each plant’s individual needs. When adding mulch to garden beds and landscapes, keep the mulch at least six inches away from the home’s siding. Mulch has the tendency to absorb moisture. Siding that is continuously exposed to saturated mulch can begin to rot. Blocks and brick materials remain safe against mulch. Build a French drain. As a sloped trench, a shallow French drain extends across your property and directs water away from the house. Visually appealing, the French drain is filled with gravel, and a pipe at the bottom of the drain whisks water toward a dry well, the street or a drainage ditch. Dig a trench two feet wide and two feet deep outside the footing. Lay a pipe in the freshly dug soil. The pipe should rest at an elevated point, so gravity can direct the water downward and away from the home. Fill the trench with gravel. A filter fabric placed over the gravel prevents soil from clogging the pipe. When selecting the type of material, opt for a perforated drainage pipe. This perforated design allows water to enter and exit via the pipe’s small openings. A slotted pipe works better than a pipe with circular holes, since the former tends to keep soil particles from filtering into the pipe. Plant a rain garden. A planting bed that absorbs and naturally filters diverted gutter water is known as a rain garden. Consider native plants and vegetation that tolerate drought conditions well. Three zones make up the rain garden, making each section either extremely wet, moderately moist or dry. Fill the lowest ring of the rain garden with plants that tolerate excessive water levels, like Lady Fern. The midpoint is to be planted with floras that withstand sporadic standing water, like Snowberries. The highest level should be reserved for plants that prefer dry conditions, like western bleeding heart. Add a rain barrel. These handy barrels direct water from the home’s gutter downspouts into the container. Choose a spot for the barrel, ideally, a place where gutter overflows can be diverted to a garden bed. Keep the rain barrel elevated, at least 12 to 15 inches off the ground. In order for the rain barrel to perform well, the home’s gutters should remain clean and functional. Water collected inside the rain barrel should be emptied regularly. When major rainstorms are anticipated, be sure the rain barrel is prepared to handle an increase in capacity. Landscaping tweaks often keep excess moisture away from the home. When natural catastrophes that are too big to handle strike your home, water damage is the inevitable result. 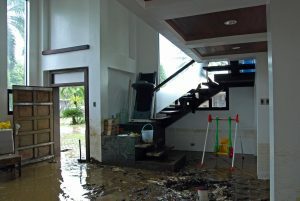 Flood and storm damage restoration companies, like ServiceMaster Restoration by Complete, are prepared to return your damaged home to is pre-disaster state. Skilled technicians from ServiceMaster Restoration by Complete arrive onsite quickly to begin the restoration process. Services include removing natural and manmade debris from the property. Damaged roofs and siding are repaired. Emergency board ups or roof tarping are performed to stabilize the property. In addition to storm damage restoration services, ServiceMaster Restoration by Complete offers flood damage restoration services. With these services, your flooded property undergoes a thorough water extraction. 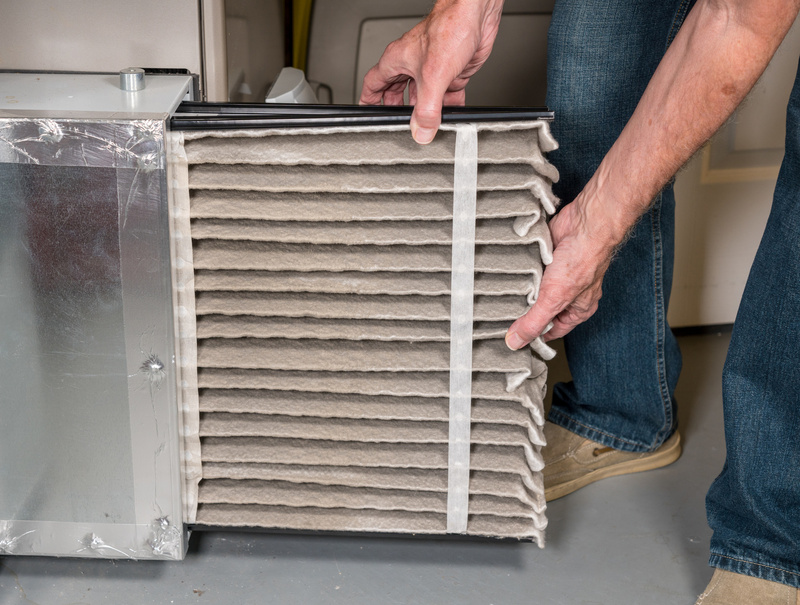 The area is then completely dried using powerful dehumidifiers and air movers. Sanitization of the space ensures the space is free from waterborne bacteria. 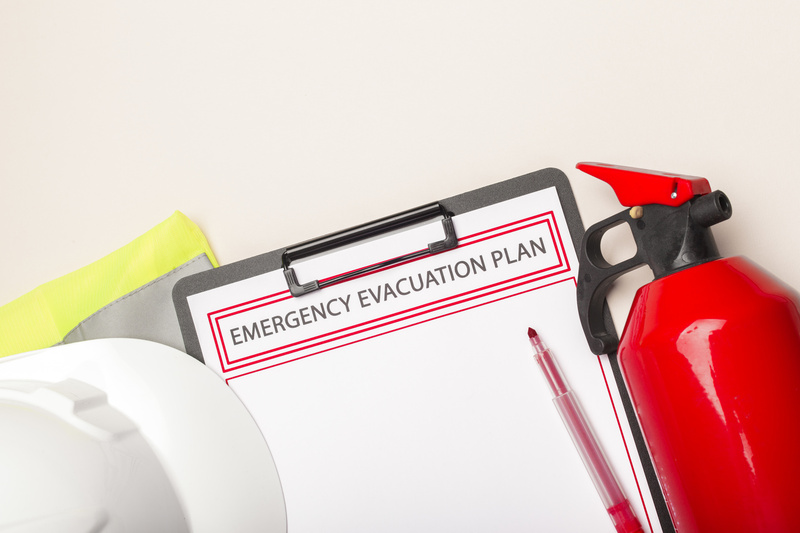 Any type of water damage is an emergency situation. Structural rotting and mold growth are just two consequences of unaddressed water damage. As a result, homeowners and business owners are urged to contact a professional restoration service as soon as the damage is detected. ServiceMaster Restoration by Complete provides its exceptional storm damage and flood damage restoration services for both residential and commercial properties in Bergen County, NJ. Specialists stand by 24 hours a day, 365 days a year to respond to emergency calls.